Motor controls and starters . 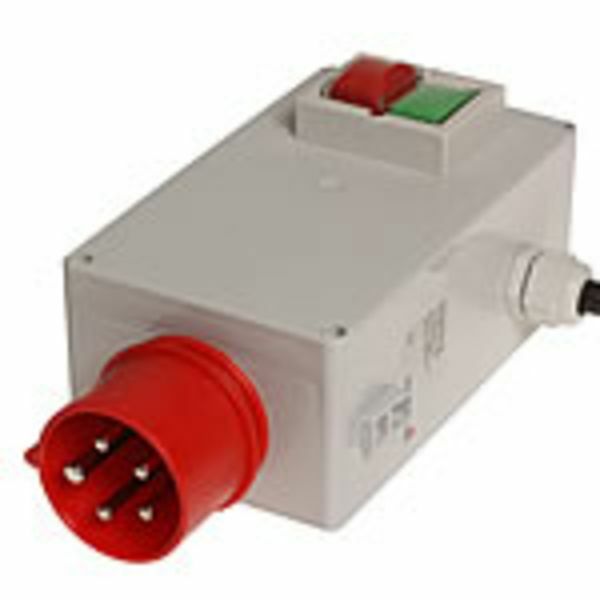 Starter three-phase 400 V .
Protection against restart after voltage drop or recovery. Please note that all our switches are custom-made. Because of the numerous ways the individual components can be combined, we can offer a high number of different models. For the same reason, there are no switches available on stock. The following combinations merely illustrate the wide range of possibilities, they are not available on stock. Delivery time on enquiry. With undervoltage release. Thermal contact connection possible. Protection against autonomous restart after voltage recovery. With undervoltage release and overload protection. Thermal contact connection possible. Protection against autonomous restart after voltage recovery. 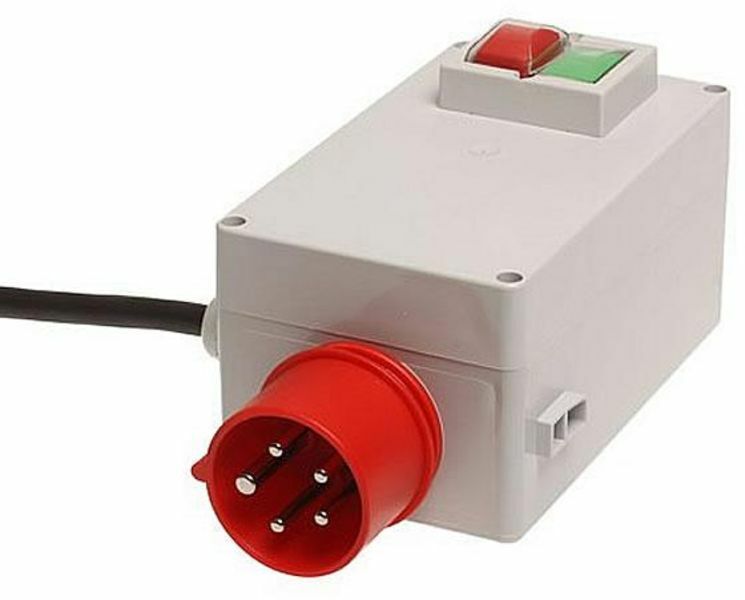 Please inform us about the rated motor current in the remark field at the end of the ordering process (after selecting "To register" or "Direct to checkout"). We need the rated motor current for setting the overload protection. With undervoltage release and overload protection. Reversing switch for right-left operation. Thermal contact connection possible. Protection against autonomous restart after voltage recovery. With undervoltage release and overload protection. Pole changing switch. Thermal contact connection possible. Protection against autonomous restart after voltage recovery. With undervoltage release and electronic brake. Thermal contact connection possible. Protection against autonomous restart after voltage recovery. With undervoltage release, emergency stop and electronic brake. Thermal contact connection possible. Protection against autonomous restart after voltage recovery. With undervoltage release, overload protection and electronic brake. Protection against autonomous restart after voltage recovery. Special model. Returning the product is excluded. With undervoltage release, overload protection, overcurrent protection and electronic brake. Thermal contact connection possible. Protection against autonomous restart after voltage recovery. 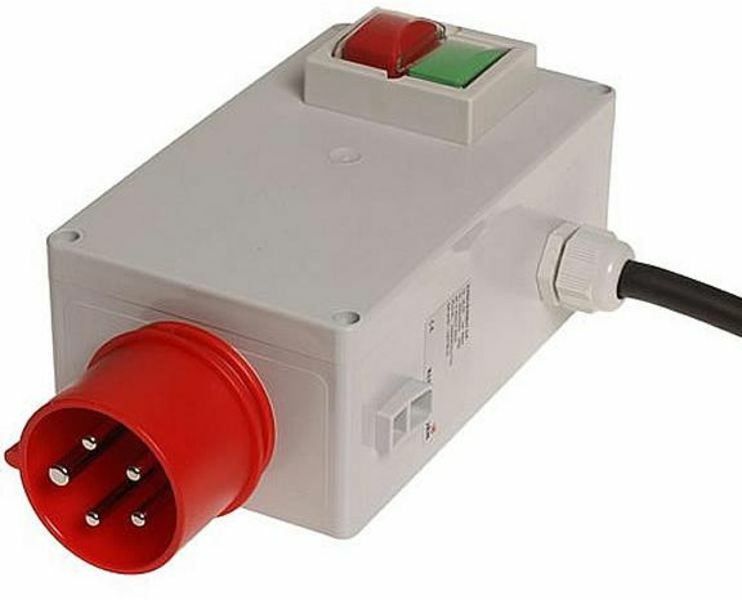 Terminal leads are stripped to a length of 100 mm and fitted with connector sleeves. Prices on request.